US government believes Chinese telecom poses risk to national security. 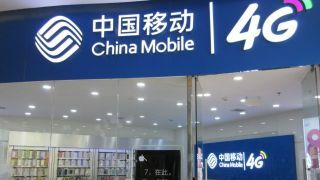 The US government has moved to block China Mobile from operating within the country and has recommended its application be rejected due to the national security risk the firm poses. The move by the Trump administration is the latest development in the ongoing dispute between the two countries. China Mobile is the world's largest telecom carrier with 899m subscribers and while being blocked in the US may be inconvenient for the company, it would likely not hurt its bottom line as a majority of its business is conducted in its home country. However, this was not the case for China's second biggest telecommunications equipment maker, ZTE which was forced to halt production following a US supplier ban. According to the NTIA, China Mobile could easily be “subject to exploitation, influence and control by the Chinese government” and this is why the agency recommended its application be turned down. The telecom may still be able to operate in the US if it is able to convince government officials that it does not pose a threat to national security.